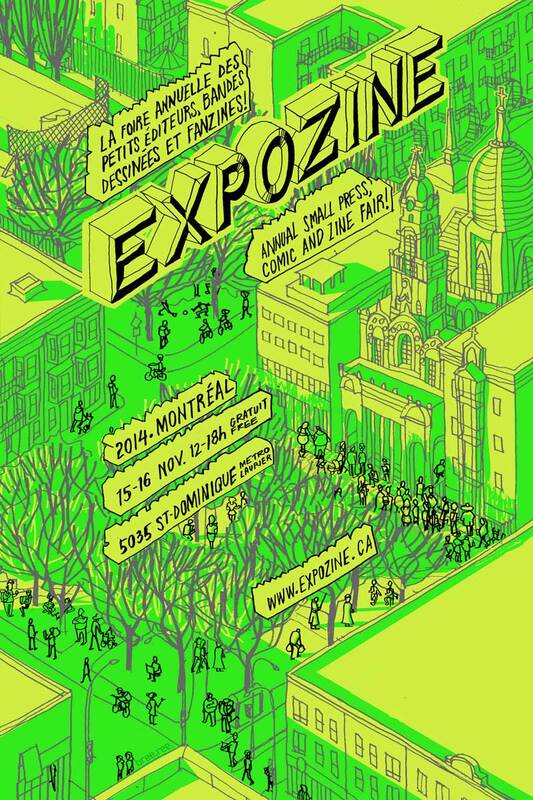 November 15 – 16, 5035 Saint-Dominique, Montreal, Quebec, Free Admission! EXPOZINE 2014 on Facebook ! Saturday November 15, 4:15 p.m.
Sunday November 16, 3 p.m.
EXPOZINE Group on Facebook !